About one third of SIAL Paris exhibitors display foodservice products. More than 7,020 French and international exhibitors from 109 countries display their foodstuffs at SIAL Paris, ranging from ingredients to processed products, including fresh produce. A collaboration between two strong powers in the food and beverage industry : SIAL GROUP, the world’s largest food exhibition network with 50 years of experience, INTERFOOD, the leading food and beverage exhibition in Indonesia, running for 14 years. Targeting the vision of being the largest trade platform of the Turkish food industry, FOOD Istanbul Expo will be launched in 2018 at CNR Expo Yesilkoy with proven track record of qualified service and advantageous venue location! Africa’s Big 7 is the only food and drink trade show in Africa to bring together hundreds of global suppliers with motivated buyers from each segment of the buying community. 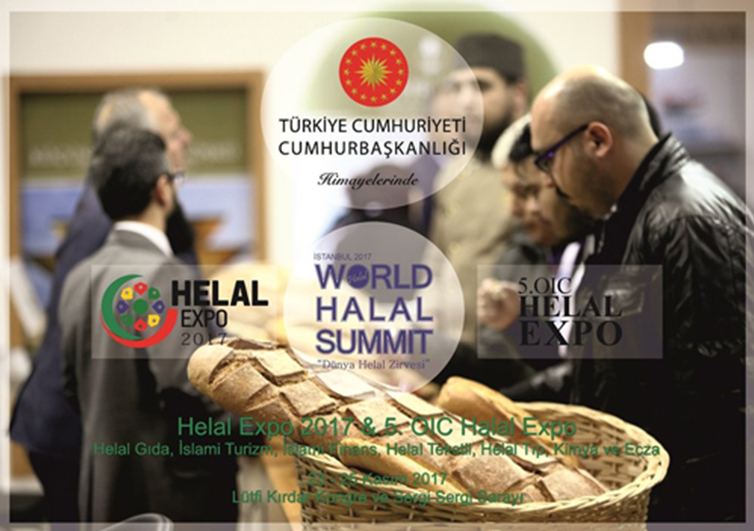 3rd Halal Expo Istanbul & 5th OIC Halal Expo that we have designed to be created consciousness at the point where consumption of healthy products is as halal as possible and will be organized the 3rd this year aims to take the place that sector actors deserve in this giant market. The organization to be held under the auspices of Turkish Republic Presidency is planned to be organized in Istanbul with the support of approximately 20 state institutions. This gigantic project, which will be organized for the third time this year and collects Halal workshops in its roof, aims to be the first and pioneer event of the halal industry with the support of the halal certification institutions and related ministries in Turkey. FHC China is a trade fair for food and beverages. They host the exhibition offers a variety of current product developments in the fields of catering service, hotel and restaurant equipment, beverages and food. A comprehensive series of seminars on the latest developments including the manufacture of food products in the wine industry and in the marketing field, giving the visitors valuable tips. The FHC China will take place on 3 days from Tuesday, 14. November to Thursday, 16. November 2017 in Shanghai. Targeting the vision of being the largest trade platform of the Turkish food industry, FOOD Istanbul Expo will be launched in 2017 at CNR Expo Yesilkoy with proven track record of qualified service and advantageous venue location! yummex Middle East is the place to be for everyone in the sweets and snacks industry in the MENA region: Growing as rapidly as the region’s markets, it brings together the world’s best products and region’s quality buyers. It is the industry‘s most important meeting place in the entire region. TURABEXPO With the support of Turkish Arab Countries Business Association (TÜRAP), work together to create new projects in Turkey and Arab Countries in many fields. TURABEXPO is specialized in conceptualizing and managing exhibitions & conferences. With a highly talented and experienced board of directors and a brilliant staff to deliver the best requirements to success, we have managed to become the best choice for companies in Turkey to find business opportunities in Arabic Countries.